Right to Rent. Know the New Law. Elliot Oliver Estate Agency. 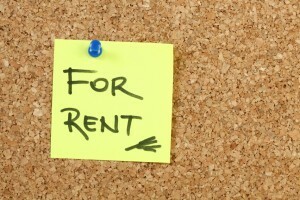 The government recently announced that Right to Rent checks will become law across England from February 1 next year. Under the rulings, landlords who fail to check a tenant’s “right to rent” in England may face civil penalties of up to £3,000 per tenant. All private landlords, including landlords who sub-let or rent out rooms in their homes to lodgers, must ensure that prospective tenants have the right to reside in England. Failure to perform these checks, or to prove that a check has been made, can result in a penalty. Right to Rent was introduced in the Immigration Act 2014 to help to make a fairer and more efficient immigration system. The scheme was piloted in the West Midlands and it has been approved for nationwide implementation, starting from February 1 2016. The scheme was evaluated by a panel of bodies including the Equality and Human Rights Commission, local authorities and the homelessness charity Crisis, as well as representatives of the lettings industry. As a landlord or letting agent you must check the identity documents of new tenants and take copies. a registration or British naturalisation document. What if I fail to make these checks? You may get a referral notice to tell you you’re being investigated and that you may be subject to a fine. You’ll also receive an information request so that you can prove you’ve carried out the check. Once your case has been assessed, you’ll either receive a “no action” notice or a civil penalty notice telling you how much you have to pay. What are the civil penalties? The penalties vary according to the type of accommodation and whether you’ve been fined before. For lodgers in a private house, it’s £80 for a first penalty and £500 for subsequent fines. For tenants in a rented property, it’s £1,000 for a first fine and £3,000 for further fines.